Hesham is a recent mechanical engineering graduate from UOIT. He graduated earlier this year with two years of related engineering experience through one-year work terms at Magna and Celestica, where he collaborated with multidisciplinary teams and engineers in Europe, Asia and North America on various mechanical engineering and design assignments. Hesham’s journey to Quasar started with this post on LinkedIn approximately 3 weeks ago (https://www.linkedin.com/feed/update/urn:li:activity:6440612796014170112); and shortly after meeting him, it was his ambition, passion, determination, creativity, communication skills, humbleness, honesty, and transparency that we very quickly identified with – these of his many admirable qualities were truly inspiring to the entire Quasar team! 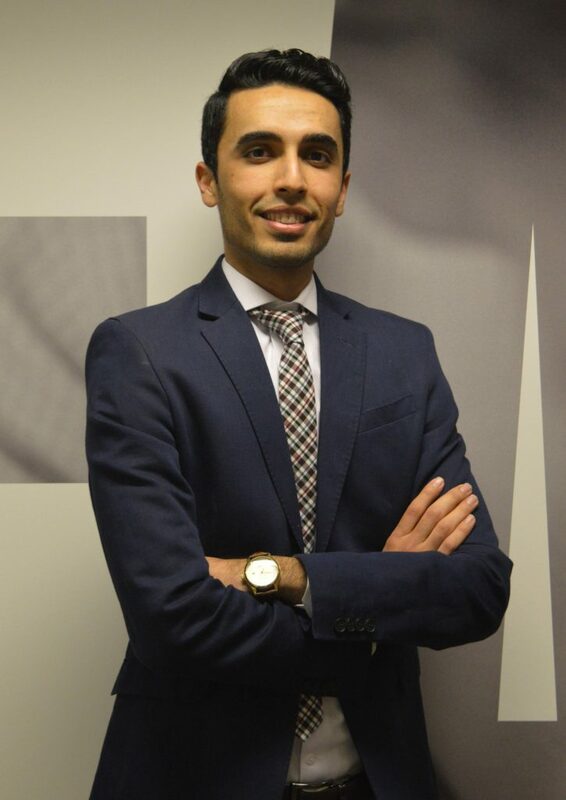 Hesham is excited to start his professional career with Quasar, where he will be working alongside a team of innovative, knowledgeable, responsive and talented people to provide uncompromising Quality, unmatched level of Service and Accountability to our Clients, industry partners, and staff; all built on a foundation of strong Relationships! Welcome aboard, Hesham! We are truly fortunate and inspired to have you on board.